A word for tonight from a great site, minfulbalance.org. Rest easy knowing that your uncertainty is all part of your growth and gain. 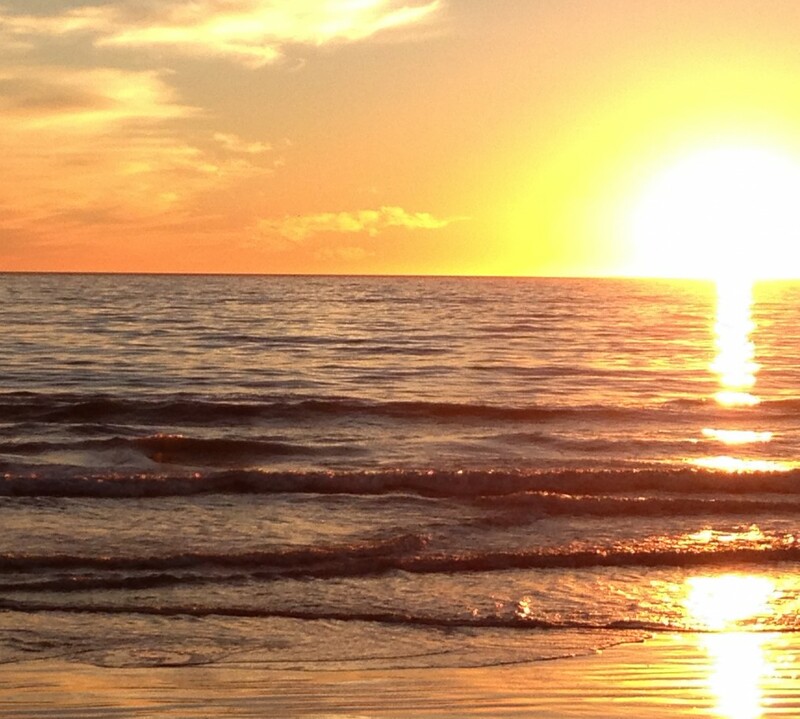 Happy Easter, all you wonderful waves. Happy Springtime, everyone. A beautiful poem rebloggged from a relevant and encouraging blog. I don’t know where prayers go,or what they do. Is a prayer a gift, or a petition, or does it matter? Weekend To-Do (Good) List: Circus Edition!!! 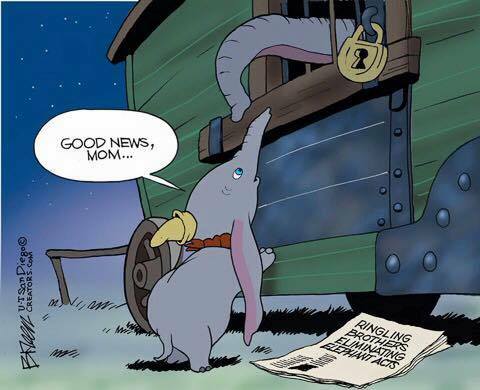 As you probably know, Ringling Bros.’ parent company made the startling announcement this week that they will be ending all elephant performances by 2018. We all celebrate this victory after years of petitioning, protesting, and increasing public awareness. 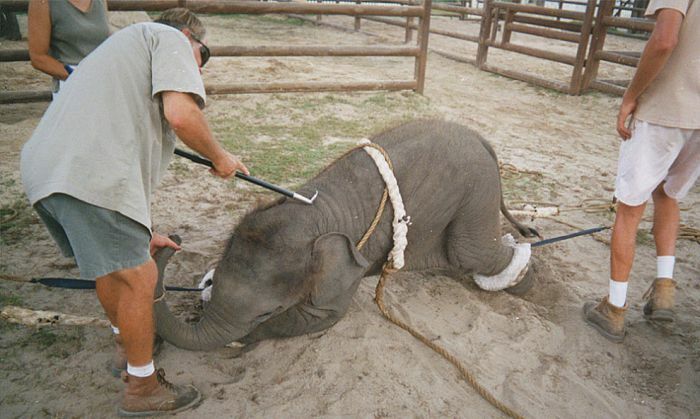 We can’t forget though that there is still plenty to do to help animals in entertainment. Life As a Wave wants YOU to help keep the momentum going by taking these easy actions. Lend some of your weekend time to these efforts, post this blog to your social media pages, let people know what you’re up to and how they can help too. Most of all, have fun doing good!! 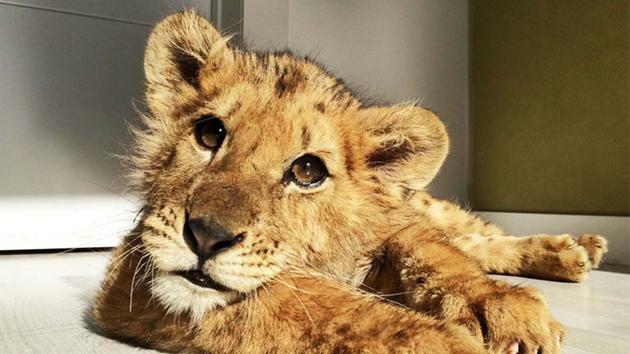 This cub was removed from his mother shortly after birth and intentionally malnourished by a circus in Spain. They wanted to keep him small, but instead they made him permanently ill. When they wanted to euthanize him, a rescue group and a team of vets came together to save him. Read the story here. To find out more about Magnus’ rescue and surgery, visit Let’s Adopt! Global. If you want to contribute some money to his care and to finding a new sanctuary home for him like I did, click here. Most of all, share his story so that people remember that there are many more animals suffering in circuses around the world. 2. Keep the Seaworld Buzz Alive! One can’t help but compare the elephants in Ringling Bros. shows and the orcas in SeaWorld shows. Two majestic, wild, roaming species confined and exploited to the point of psychological breakdown. Citizens from all walks — animal rights activists to the neighbors down the street — are growing weary of SeaWorld’s persistence to keep orcas and other marine mammals performing at their parks. 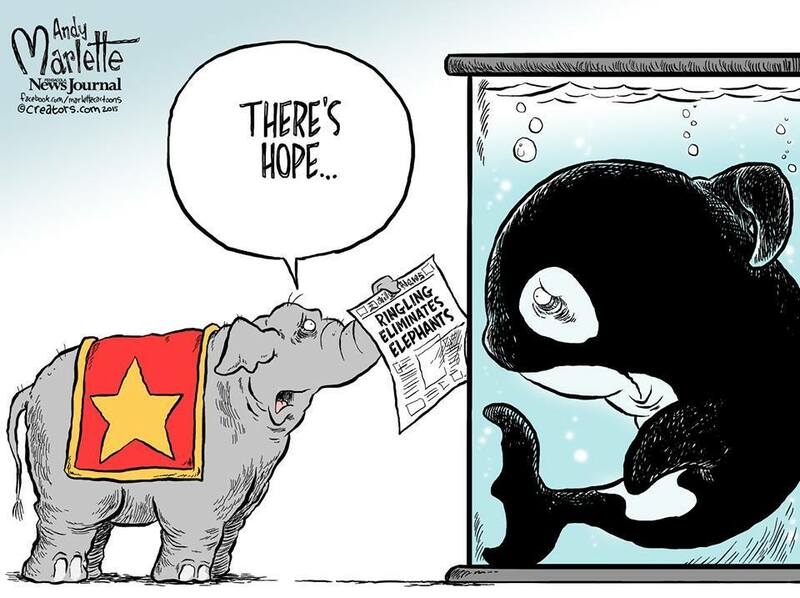 This is especially true since the breakout documentary, Blackfish. In fact, this has been one of the most powerful animal rights campaigns I have personally witnessed. How can we keep it going? First, watch Blackfish if you haven’t. Post about it. Share the trailer on social media. Second, be another voice in the protest. Join over 50,000 others in signing this petition by Fins and Fluke or this petition by SeaWorldofHurt. Third, follow social media sites like Stop SeaWorld and Ric O’Barry’s Dolphin Project that speak out against marine life abuse. Fourth, don’t go to SeaWorld! I’ve said it once and I’ll keep saying it: it’s time to move past this kind of entertainment and captivity. It is time for preservation and sanctuary, for respect for animals’ natural behaviors, and for teaching our children to embrace the “wild” of wilderness. Fifth, if you want to really get out there and get your hands dirty, join a protest! Protests are regularly held in San Diego, San Antonio, and Orlando. Here’s one that doesn’t make you a “crazy activist” and doesn’t cost you any money (except maybe for some almond milk and cookies). Children have a keen sense of compassion for animals, an instinct that they are too often conditioned to ignore. Why not engage them in a conversation about why Dumbo was taken from his mother? Why not ask them what they think about the Ringling news? Why not tell them that they have power to make bad things good? Because they really do. Enjoy your weekend and DO GOOD! With only three sleeps until Christmas many of us are wondering how to wind down, how to enjoy time with our family and friends, and how to continue or create meaningful traditions for this time of year. 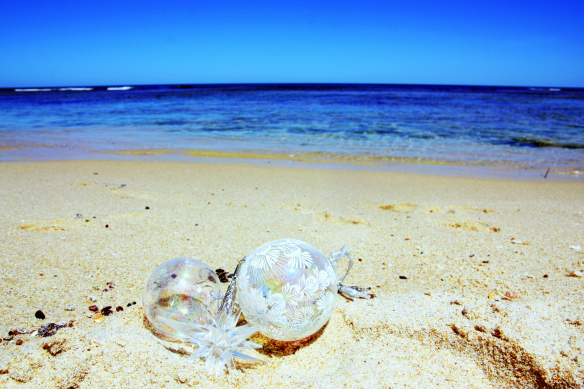 Perhaps we are trying to avoid a hurricane of over-receiving and over-indulging, trying instead to connect with Christmastime as about giving, faith and connectedness to others and ourselves.